abundant wildlife, colorful cultures and gorgeous landscapes. This safari takes you to the iconic location of the Maasai Mara where you’ll spend days exploring this vast wilderness. You will also see conservation efforts at work while visiting the Sheldrick Wildlife Trust Nairobi Nursery and two of their exclusive, private camps – Ithumba and Umani Springs. Here you learn about their orphaned elephants projects, walk with baby elephants, and possibly meet your own foster elephants! Upon arrival in Kenya a Capture Africa Tours representative will greet you at the Jomo Kenyatta airport and transfer you to the EKA Hotel, Nairobi for overnight. The EKA Hotel is a contemporary style hotel with two full service restaurants and full service bar on sight. The rooms are designed to provide comfort and convenience featuring air conditioning, LCD flat screet TV’s, complimentary internet access, and in-room safe deposit boxes. A great choice for your stay as you begin your journey. Following breakfast at the hotel, we depart for the Giraffe Center, home of the Rothschild Giraffe conservation sanctuary. 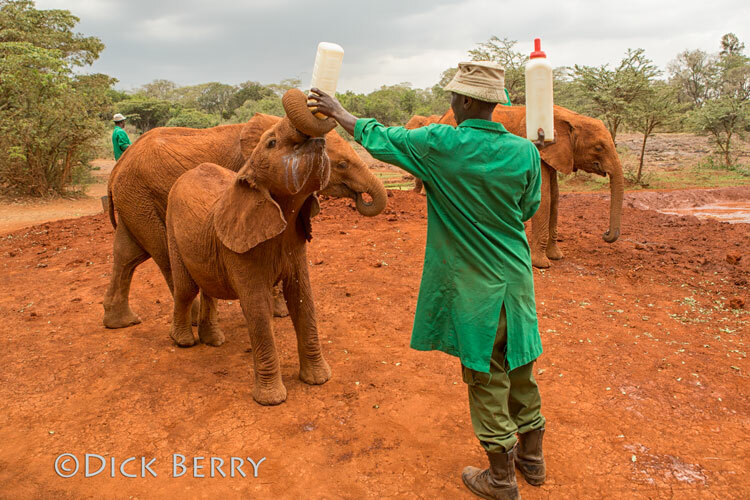 We then visit the Sheldrick Wildlife Trust Nairobi Nursery for a 3 visits – public, private, and foster. Between visits lunch will be Karen Blixen Coffee Garden. We end the day back at the EKA Hotel for dinner (on your own) and rest. The Giraffe Center: The Giraffe Center was started by Jock Leslie-Melville, the Kenyan grandson of a Scottish Earl, when he and his wife Betty captured a baby giraffe to start a program of breeding giraffe in captivity at their home in Langata. Since then the program has had huge success, resulting in the introduction of several breeding pairs of Rothschild Giraffe into Kenyan National Parks. In 1979, Leslie-Melville added an education center to his (then still private) giraffe sanctuary. Elephant Orphanage / Sheldrick Wildlife Trust: Get up close and personal with orphaned elephants and Maxwell the rhino. This is where Dame Daphne Sheldrick perfected the raising and re-integrating of orphaned elephants into the wild. Here you will see the elephants being fed and playing. In addition, there is a keeper who will give a talk about the elephants, where they came from, how they are getting on, and how some of the previous orphans are progressing. You have the opportunity to interact with elephants during our 2 private visits. After breakfast, we depart for the Maasai Mara National Reserve. It is an approximate half day drive with scenic stops along the route to get to our camp. We have lunch upon arrival followed by an evening game drive. Dinner and overnight will be at the Mara Entim Camp. Due to availability the Entim Camp may not be available and will book a camp/lodge of equal quality. For the next 3 nights we will call the exclusive Mara Entim Camp our home. These luxury tents are expertly designed and offer an unmatched safari experience. Nestled inside the Maasai Mara National Reserve, this prime location overlooks the Mara River (near the iconic wildebeest river crossing point). See amazing views of Africa’s wildlife and vast wilderness from the comfort of your luxury tent. Daily you will have options for game viewing. We will take morning and evening game drives OR full day game drives. Morning and evenings provide the best lighting conditions, the temperatures are not extreme, and the animals are most active. You can also start your day with a balloon flight (extra) or visit a Maasai village (extra). Maasai Mara Game Reserve: is an extension of Serengeti National Park and a home to many species of animals including the Great Wildebeest Migration. Thousands of wildebeest and zebra cross the Mara River traditionally from Jul – September each year as the animals follow the rain. The Maasai Mara stretches 580 sq miles. It hosts over 95 species of mammals and over 570 recorded species of birds. Together with the Serengeti National Park, there is no better place to witness some of the BEST WILDLIFE VIEWING IN THE WORLD! This area is named in honor of the Maasai people (ancestral inhabitants of the area). 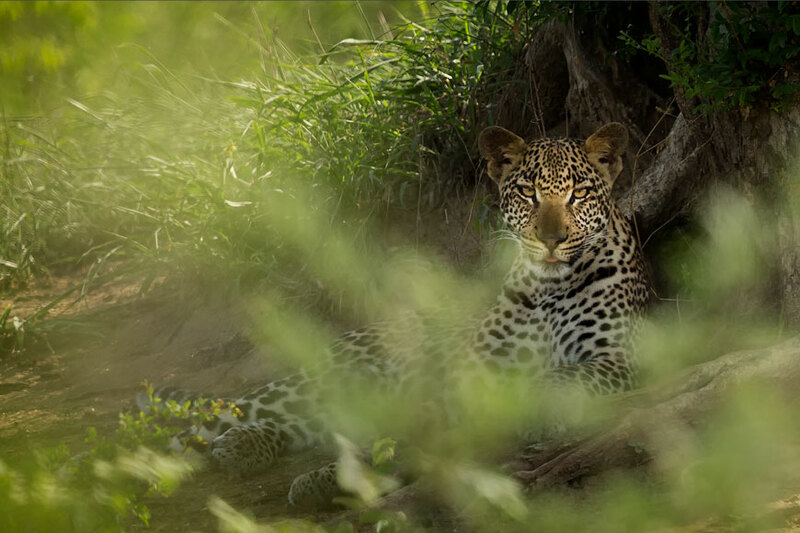 Their description of the area when looked at from afar is “Mara”, which means “spotted”. The describes the circles of trees, scrub, savanna, and cloud shadows throughout the area. Today we depart for Nairobi driving through the Kenyan countryside. En route we stop for lunch at Ubuntu Cafe in Mai Mahiu. When we reach the city we will visit the Sheldrick Wildlife Trust Nairobi Nursery for another evening foster parent visit. We will enjoy dinner as a group back at the EKA Hotel. After breakfast we depart for the Sheldrick Wildlife Trust’s private camp, Umani Springs in the Kibwezi Forest. We arrive in time for lunch followed by a visit to the Umani Springs stockade to see the elephants before they retire for the day. The next morning we rise early to visit the elephants before they head out into the bush for the day. We visit again for their afternoon mud bath and another evening feeding. Between visits we will relax back at the lodge. The lodge is private and will be all to ourselves! Enjoy the beautiful and tranquil surroundings and wonderful meals prepared by our private chef. After breakfast we depart for Ithumba Camp in Tsavo East National Park. You will enjoy a game drive as we drive to our next destination. When we arrive at our camp we will settle in and enjoy lunch. If we arrive early enough we may have a chance to see the wild elephants have a mud bath today. We will enjoy 3 full days at Ithumba Camp spending lots of time with the elephants! Daily we will visit the stockades at sunrise as the elephants enjoy their morning feedings. Once they start out for their day we return to the camp for breakfast. Late morning we drive to the elephants watering hole and watch as they play and enjoy their mud bath. Early evenings, we visit the stockades again to see the elephants having their milk before calling it a night. Between visits we will spend time relaxing at our camp. This is another private, self- catering tented camp. Our private chef will treat us to excellent food and we’ll enjoy sundowners overlooking the vast wilderness surrounding us. After breakfast we drive back to Nairobi. We will arrive at the EKA Hotel in time for lunch. You will have a choice of restaurants at the hotel and have the afternoon at your leisure. We will enjoy a group farewell dinner at the Tamarind Restaurant in Nairobi. You will have a day room to use at EKA Hotel to rest and pack before your departure. Meals other than breakfast will be on your own. As your flight time dictates, we will provide transfer to the airport for your international flight home. You must have fostered an elephant within the last 12 months to stay at the David Sheldrick Wildlife Trust private properties and go on private visits to the Nairobi Nursery. Elephants can be fostered for $50 (at your own cost) through the SWT website. Depending on departure date and lodging available the stay at various locations may vary. • Visit the Sheldrick Wildlife Trust and Giraffe Center in Nairobi learning about local conservation efforts. • Experience wild and unspoiled savannas in remote locations of the Maasai Mara National Reserve. • Relax and be pampered at two SWT Private Camps in the Tsavo East National Park area – Umani Springs and Ithumba Camp. • Take an optional Hot Air Balloon ride over the Maasai Mara plains. You have a love for nature and wildlife. You love adventure and visiting exotic locations. 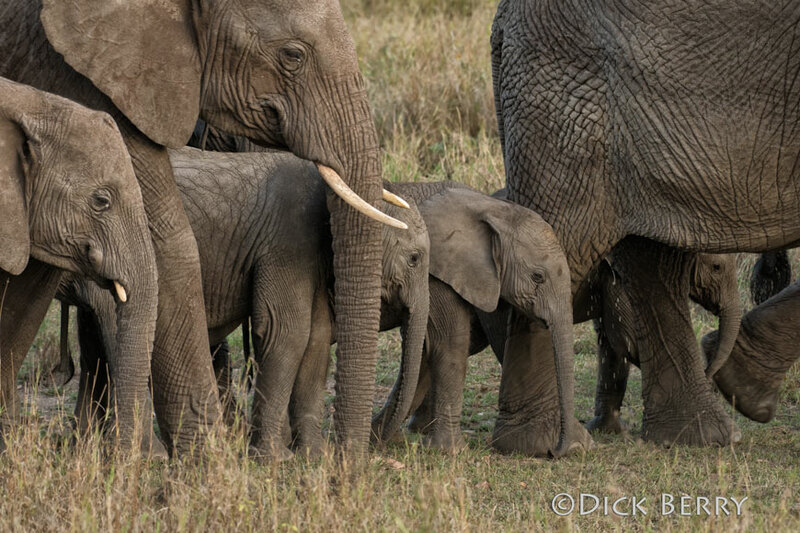 You have a passion for elephants and want to help with conservation efforts protecting them. An opportunity to see the Great Migration through the Maasai Mara is an experience you’ll never forget. If you want to meet your fostered elephants and see one of the last true wilderness areas on earth teeming with wildlife, join us on a journey of a lifetime! The size of this tour is a maximum of 8 people and we anticipate filling up quickly. (Some itineraries may differ slightly due to length of stay at various camps/lodges.